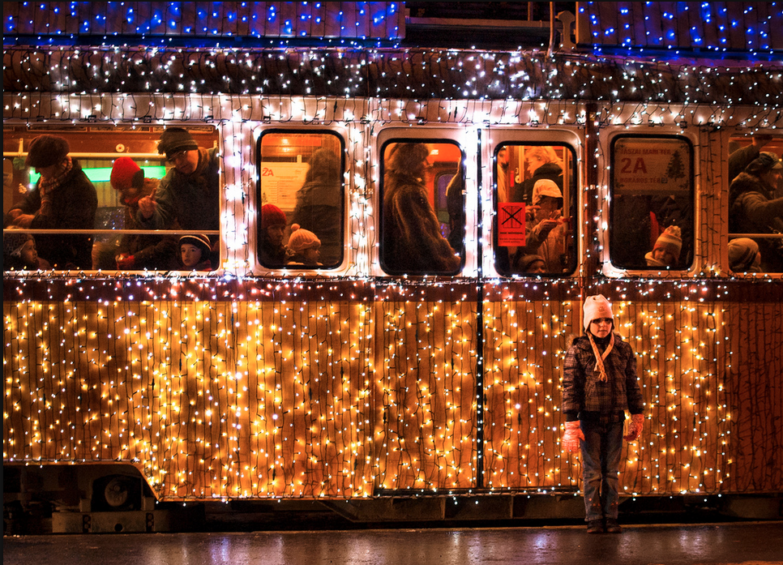 Are you visiting Budapest, and want to experience the best things to do at the Budapest Christmas Festival? 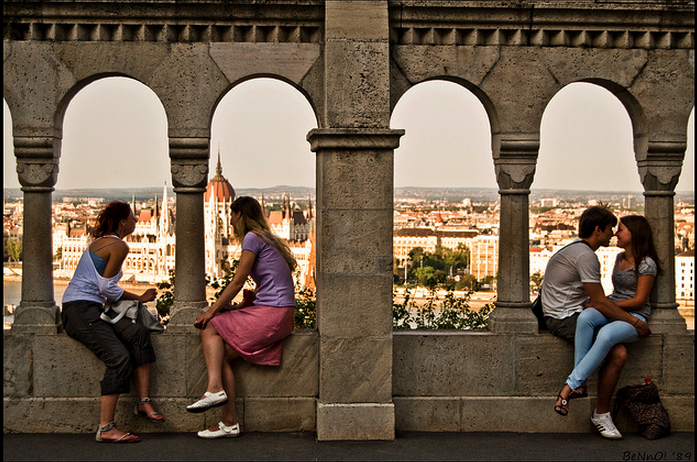 Here is our Budapest Christmas travel guide to get the most of your December visit. We can’t promise you a white Christmas in Budapest, but the weather is often generous and makes a wonderful Christmassy snow fall. There are more markets, but probably the most famous markets in the last 2 years are the 14 year old Budapest Christmas Market on Vorosmarty Square (organized by the official Budapest Tourism office), and the Budapest Basilica Christmas Market in front of the big cathedral of Budapest, the St Stephen’s Basilica. Only a 5 min walk from each other, and both have evening light painting shows, mulled wines, beautiful handcrafts, and delicious street foods. 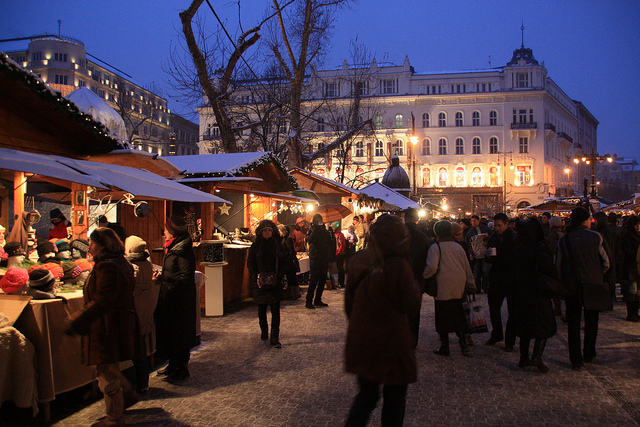 Visiting the Christmas markets in Budapest is a gift in itself. Do you want to get a good overview with locals’ insights? 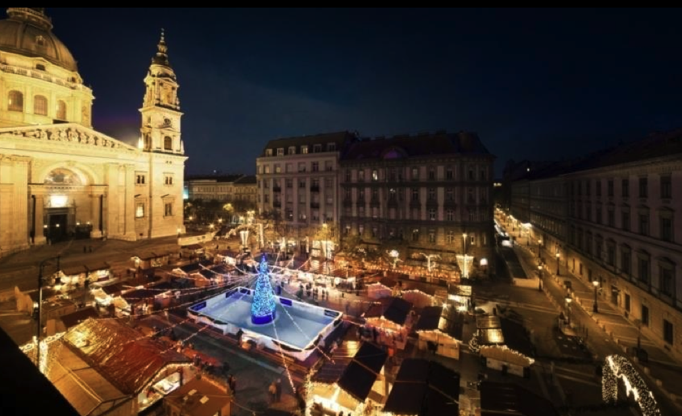 Book your Budapest Christmas Market Tour now. Budapest is always full of concerts of all genres, and the Christmas holidays bring more concerts to get into a festive mood: with Christmas carols, classical music, jazz, gospels, and more. 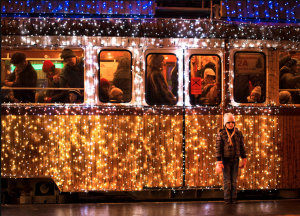 Learn more about Budapest Christmas Concerts. Nutcracker Shows in Christmassy Budapest range from the prestigious and world class Nutcracker ballet performance in the Budapest Opera House to the children’s puppet shows in the Budapest Puppet Theater or at the Palace of Arts (MUPA). Do not miss the Nutcracker if you are visiting Budapest in late November or December. 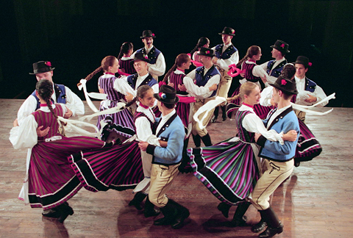 There are dozens of performances which run with full house. So do book your tickets online in advance. Santa Claus is coming to town! 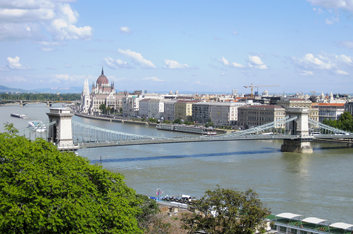 But isn’t he a bit too early to arrive on December 6 to the city of Budapest? Has his clock gone wrong, or was he misled by some mischievous elves? Luckily, no. Father Christmas in Hungary comes to the kids around December 6 (on the day of St Nikolaus, so he is called Mikulas in Hungarian, or Father Winter – Telapo). The best fun? Get on a Santa Claus train on the Children’s Railway or in the Railway Museum of Budapest to enjoy a good nostalgic ride on a steam train, and get goodies from the helpers of Santa Claus. There are many more Santa Claus events in Budapest, just pick one for your little one. We warmly recommend the charity concerts and shows as part of the Santa Claus Factory too (Mikulasgyar). 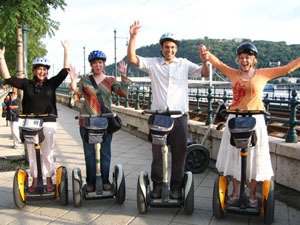 Budapest Christmas cruise can be a nice touch and even the highlight of your Budapest stay. December 24, 25, 26? 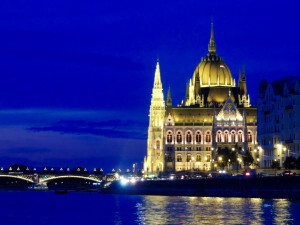 Yes, there are boat tours in Budapest at Christmas. In fact, Budapest river cruise tours are popular sightseeing tours all year round as the – heated – ships cruise on the river Danube on most days of the year (with very few exceptions / free days). Even on New Year’s Eve and Day: Budapest New Year’s Eve Cruise, Budapest New Year’s Day Cruise, throughout December, January, etc. Christmas dinners in Budapest on Dec 24, 25 or 26 in the city of Budapest. Pick some of the restaurants that stay open through the Christmas holidays in Budapest (sorry, most of them are closed, but a handful is still open!). Christmas brunches in Budapest: to start the day with a lavish brunch you can head to some of the five star hotels in Budapest. Five star quality and programs, but still a good value for your money. Do check the prices before you avoid the “five star’ offers. Good Christmas deals, especially for parents, who can have a peace of mind while the children are kept busy in the playhouses of the Christmas brunches where trained professionals play with the little ones. Sink deep in the warm hot spring baths and tubs in Budapest baths. 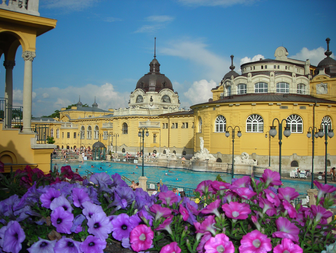 Pick a hundred year old palace for a venue, like the beautiful Szechenyi Bath, or visit Gellert Spa, or just let history overwhelm you in the 16th century little Turkish baths in Rudas Bath or Kiraly Baths, or in Lukacs Baths, which these days is most well known for the winter bath parties: Lukacs Bath Parties. Get a good massage, or even enjoy a party in winter! 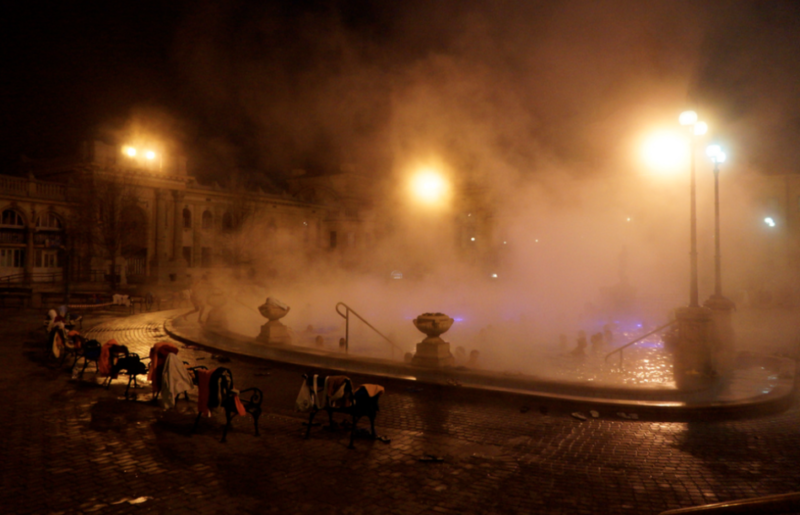 Budapest bath parties are popular in November, December, February and March too. As the whole city of Budapest gets Christmassy, there are many Christmas sights in Budapest to visit, and take in while you are staying in the Hungarian capital. 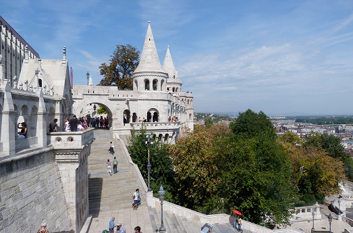 Many of the sights are free to visit, and amongst the top ten things to do at Christmas in Budapest, Hungary. If your Christmas stay in Budapest goes over the New Year period, you will find dozens of great New Year events in the city buzzing with parties, gala events, concerts for both the New Year’s Eve and the New Year’s Day. 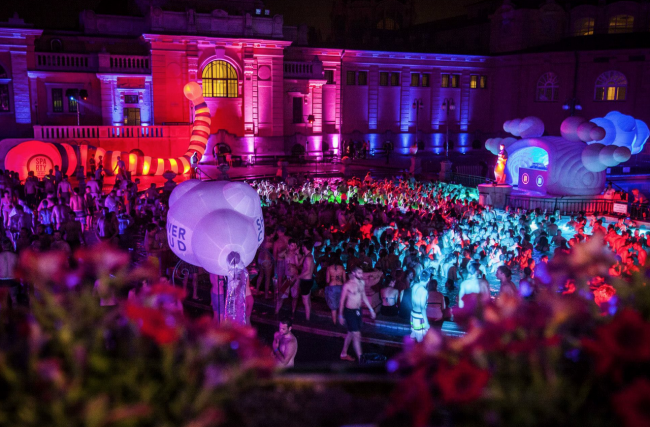 If your Christmas holiday is a bit longer in Budapest, and you are planning to go to some crazy party or unqiue things to do, go and book your tickets for the Dec 30 bath party in Szechenyi Baths. Just 1 day before the old year ends, the pre New Year’s Eve Bath Party will put you on the party track for a year of longing for having another thermal party, and another.